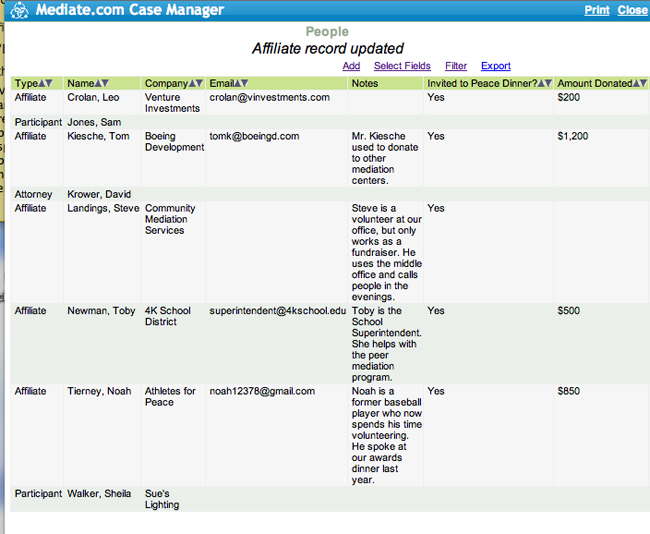 Caseload Manager can also be used to track fundraisers, donors, events, and amounts donated. This page will walk you through how to set up the new people types, the new field types, and then an example of running a report on these fields. Click the Select Fields link. Check the boxes that you would like to appear to easily sort with. 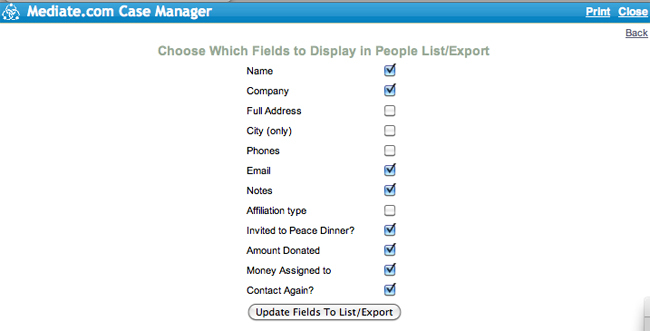 Or, if you would like to export this information, check all the fields that you would like to export. Then check the button to update the list. Finally, click the link to export your list. Export it into whatever format you want to report in. Below is an example of exported information opened with Microsoft Excel. 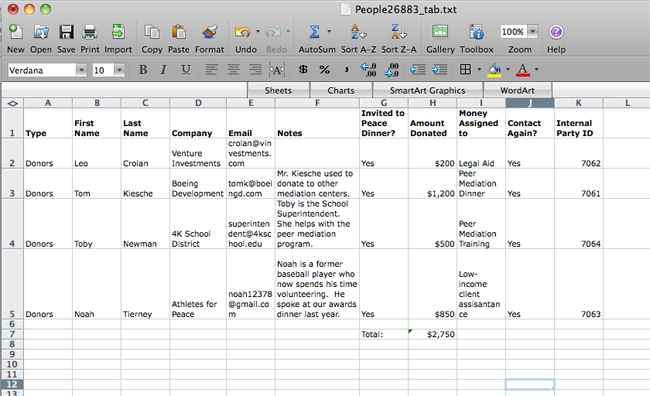 It was sorted to run a list of the total amounts donated.